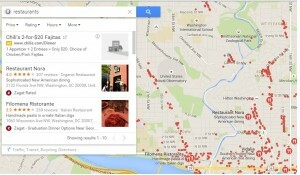 Find or Search Nearby Restaurants, shops, malls or any places in New Google maps. After the introduction of New Google Map and Google Lite mode Map many users are facing problems in using all features in new map, which they can easily use from old Google Classic Map as they are already used to with it. One of the important feature is Near By, which let you search Near-By hotels, Restaurants, Malls, parking places, nearby bus stops or near by Gas Stations from your current location or from any location you want. 1.) Open New Google Map. If you are using Google Lite mode, switch back to Google New Maps, as Lite mode does not support Nearby Search Feature. 2.) Type in current location or the location name from where you need nearby location result, in Search Box. And press Enter to Get the result. 3.) Now click on Search box once. 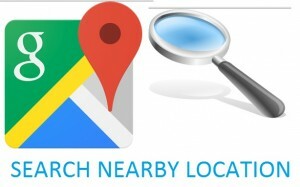 This will show you Search Nearby link as indicated below. Name of the Shops or location. 5.) Red icons Show near by result on the map , while your original location appears as a gray icon. 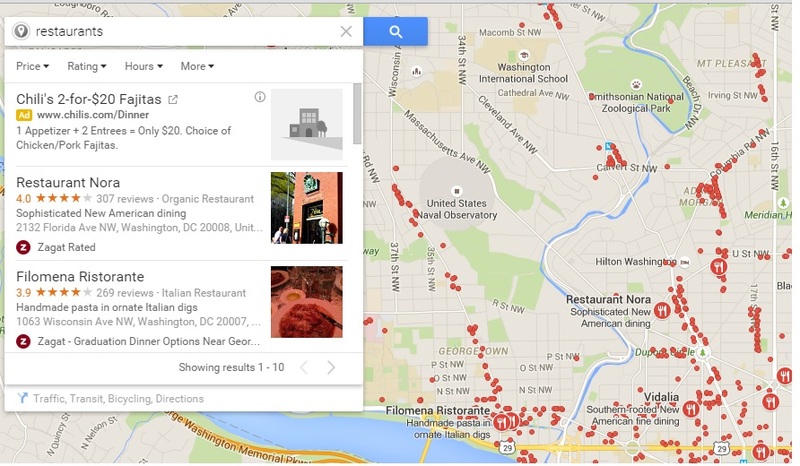 “restaurants near national mall” to get the nearby restaurants near national mall. Similariy to find out traffic, you need to enter, “traffic” as keyword to get the real time traffic. You may also be interested to explore other feature of Google Map like, Measure straight line distance, or trace out your all lcoation history or plan your route with public transit and many more. Hope can now easily search the nearby location easily. I suppose, New Google Map is also good one which provided an easy way to search nearby location and many more options. 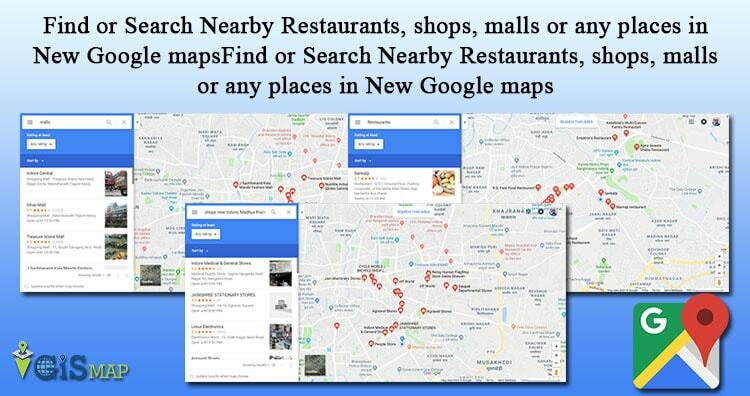 Use New Google Map frequently to explore new features. Do comment below if you are facing problem in searching nearby location or if you want to give your opinion or suggestion. When I put in an address and then search nearby for hotels, it shows the hotels in red, but my original location marker disappears, making it hard to determine relative distances. Also, in the list of nearby hotels, I am not seeing the distances that they are from the original address.